Democratic presidential candidate Hillary Clinton unexpectedly floated the idea Monday of letting people in their 50s buy into Medicare as an alternative to her previous proposal to let states establish public health insurance plans to compete with private insurers. During a roundtable discussion with voters in a café in Northern Virginia, Clinton said, “I'm also in favor of what's called the public option, so that people can buy into Medicare at a certain age,” according to Bloomberg Politics. 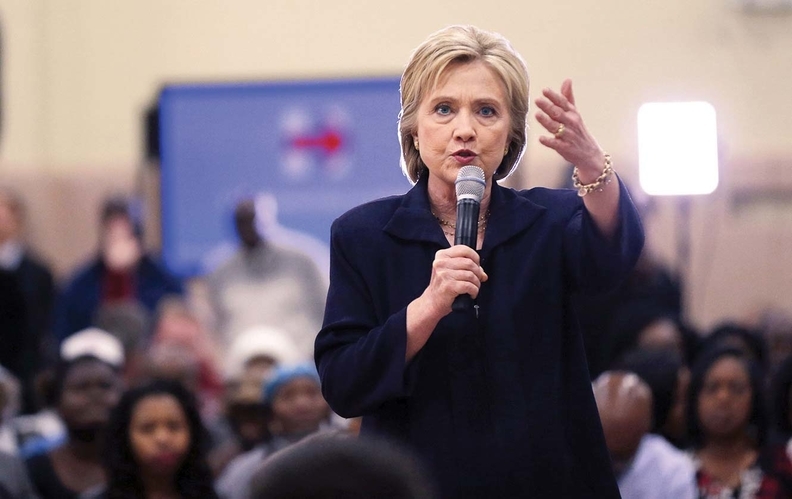 Addressing the issue of the affordability of private plan premiums under the Affordable Care Act, Clinton also suggested she'd like to extend premium subsidies to a wider range of people. “People shouldn't just—once they get to a certain income level—shouldn't lose all their benefits,” she said. But this is the first time during the 2016 campaign that she's mentioned the idea of letting people voluntarily buy into Medicare. On Monday, she proposed that “people 55 or 50 and up” could pay the full cost to sign up. In 1998, her husband, President Bill Clinton, proposed letting people ages 55 to 64 buy into Medicare. Democratic presidential candidate Al Gore offered a similar proposal in 2000. The idea also came up in 2009 during the late stages of the battle over the Affordable Care Act legislation, but was not ultimately included. Clinton's proposal for a Medicare buy-in option could appeal to supporters of her Democratic primary opponent Sen. Bernie Sanders, who has won enthusiastic backing for his advocacy of a government single-payer health insurance system. The Medicare buy-in proposal would likely carry a much lower price tag than Sanders' single-payer plan, which the Urban Institute said would cost twice as much as Sanders claims, though it would cover far fewer people. Insurers, healthcare providers and medical suppliers generally oppose the public option concept, and that controversial feature was removed from the ACA to win passage of the law. Rather than seeking to establish the public option plan through federal legislation, Clinton's website said she would “work with interested governors, using current flexibility under the ACA to empower states to establish a public option choice.” That presumably refers to the broad waiver authority under Section 1332 of the law allowing states to establish tailored health systems that achieve the ACA's coverage and cost goals. This may mean that a Clinton administration and willing states could adopt the public option without going through Congress, which may remain under at least partial Republican control after the November elections. Harold Pollack, a liberal healthcare policy expert at the University of Chicago who favors the public option, said in an interview in February that the healthcare industry strongly opposes the public option idea because it's viewed as an expansion of government efforts to set prices and terms of care. “It's a very powerful coalition, including every hospital and every vendor, that will be resistant to a public insurance option,” he said. It's likely that substituting a Medicare buy-in for a new public option plan would do little to soften industry opposition, given that providers widely complain that Medicare payments are too low.